LARGE CAPACITY - Sets up in seconds, No assembly required! 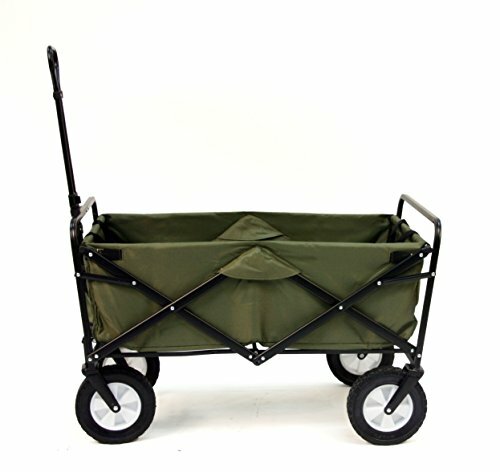 Outside Dimensions Approx: 35" x 20" x 23" Inside Dimensions Approx: 32.5" x 17.5" x 10.5"
CONVENIENT COMPACT STORAGE - Wagon folds to only 8" thick! Folded size approx. 29.5" x 20" x 8" and includes a convenient carry case. Weighs 24.5 Lbs. If you have any questions about this product by MAC S P O R T S, contact us by completing and submitting the form below. If you are looking for a specif part number, please include it with your message.